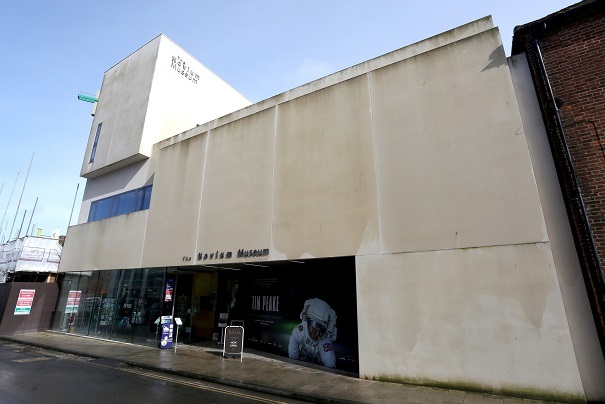 A BUSINESS plan for the city’s museum was agreed by Chichester councillors on Tuesday morning. The district council built the Novium Museum in Tower Street in Chichester after it relocated from its premises in Little London and incorporated the Tourism Information Centre from South Street inside. The museum opened in July, 2012, in Tower Street with the premises costing £6.09m to construct, fit out and relocate artefacts. Tourist Information Centre building was leased from July, 2016,onwards generating an additional £495,000 per annum. Free entry replaced the initial charge from November, 2014, and the museum has since been working on generating additional income to replace the lost entry fee income. Cllr Roger Barrow said: “I think we should all be very proud of the progress that the Novium has made in the last couple of years. Cllr Barrow asked how much they were hoping to receive in visitor donations. An initial proposal was approved by the cabinet last month to support additional feasibility works to investigate options of reconfiguration of the front of house areas, glazing over the Roman Baths, an improved cafe and improvements to exhibition infrastructure. Council leader Tony Dignum added: “Thanks to it’s excellence management, the Novium Museum has become a key part of our city’s cultural offer alongside the gallery, the theatre and the cathedral and you can see how the donations would be over £10,00 because last year, they attracted 50,000 visitors and they are looking at something above that this year. “It’s no secret that the current building has some physical limitations and there is no reason why we should live with those forever and that is why the business plan seeks to make some adjustments to aspects of the structure next year.